I stumbled upon this Ken and Barbie wedding photo shoot by French photographer Beatrice de Guigne and had to share it with you all. 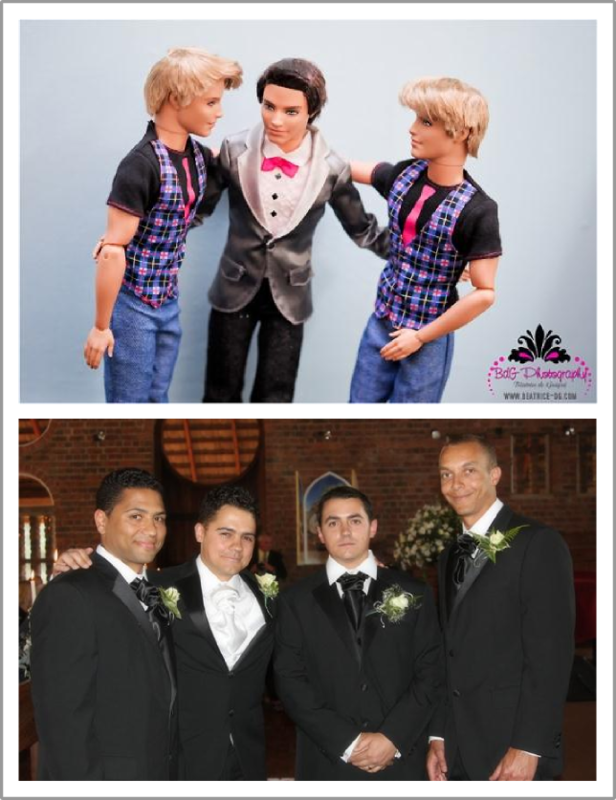 I love the level of detail and had such fun comparing the Ken and Barbie wedding photos to my own. Have a look at the full photo shoot here as I am sure you too will relate to most of these pictures – the picture frame shot is very common these days!